NEFE is independently funded by its own endowment and operates as a noncommercial entity free from financial ties to other organizations. 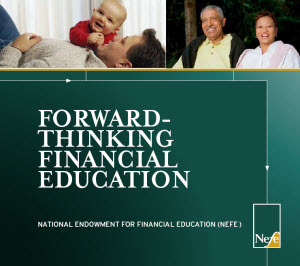 NEFE’s endowment was established with the proceeds of the sale of the College for Financial Planning and related transactions in 1997. Additional growth is realized through investment of the endowment’s assets. NEFE does not accept funding from government or corporations, and does not raise revenue through the sale of products or services. All of NEFE’s programs are provided at no cost.